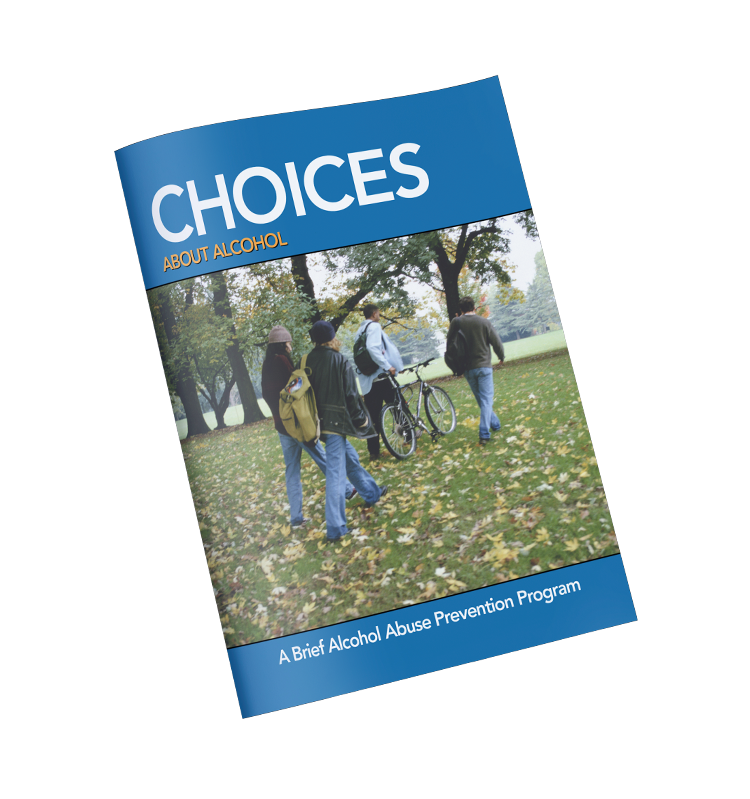 CHOICES provides campuses with a brief, research-based, cost-effective and easy to implement method for helping students reevaluate their choices around alcohol. 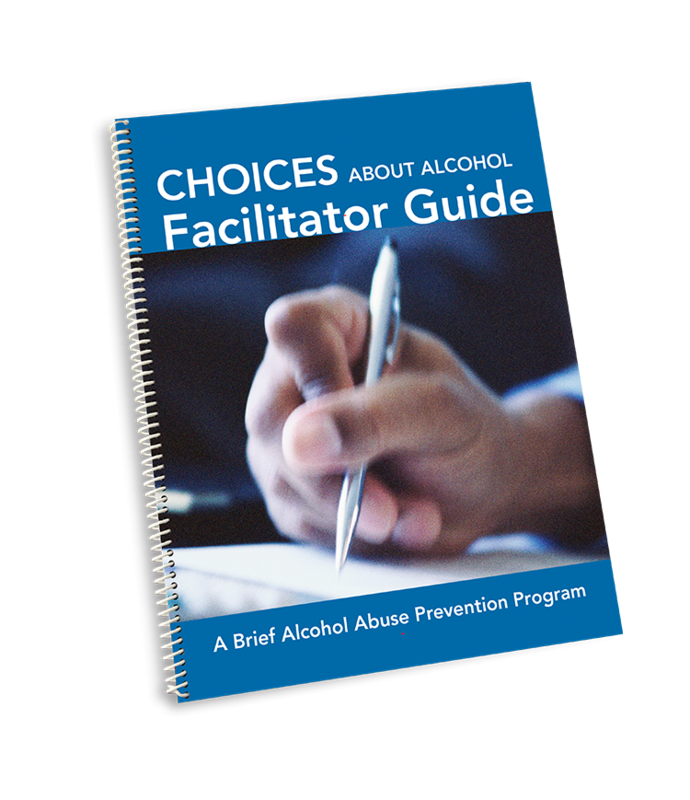 The program engages students in self-reflection and discussion about facts, risks and norms associated with alcohol while equipping them with the information, strategies and skills to make wise decisions. The Interactive Journaling® process provides critical normative and physiological information while guiding students to apply information to their personal experiences. The approach emphasizes student safety combined with personal responsibility. 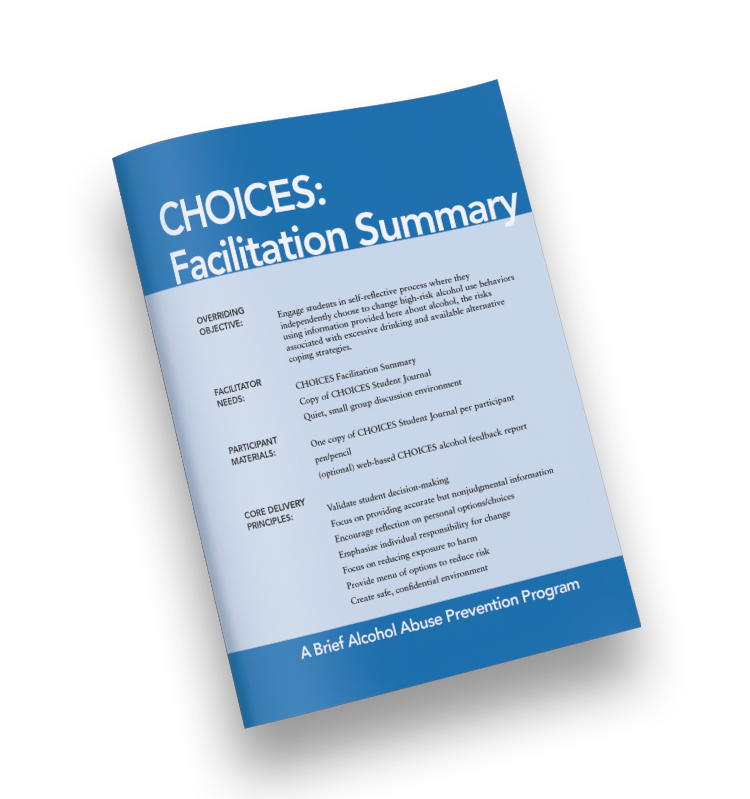 CHOICES is appropriate for both universal prevention and sanctioned students. CHOICES was created by The Change Companies®, Alan Marlatt, Ph.D., and George Parks, Ph.D. The program is based upon research by the University of Washington Addictive Behaviors Research Center, which has been recognized by NIAAA and SAMHSA as leading alcohol abuse prevention for college students.